Happy First Day of Spring! I know that is a welcome phrase for most of the country after this awful winter. The kids were out playing with the neighbors in the driveway in shorts and t-shirts. It was a great afternoon. I'm taking a line drawing class via creativebug.com. I created this line drawing a couple of weeks ago. I colored it tonight. 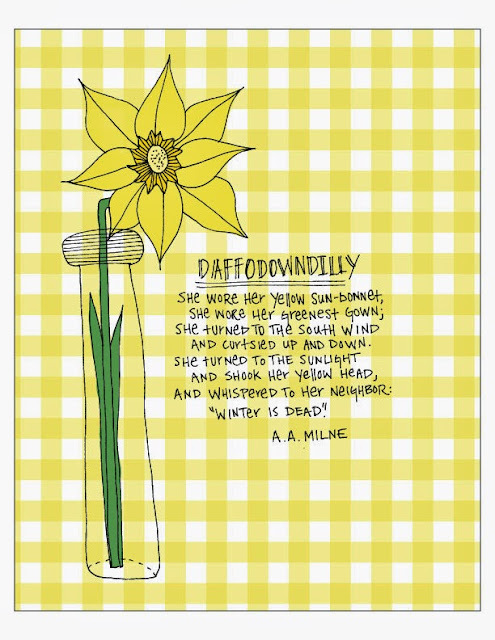 If you need a little yellow in your house in honor of spring time, feel free to download it and print!